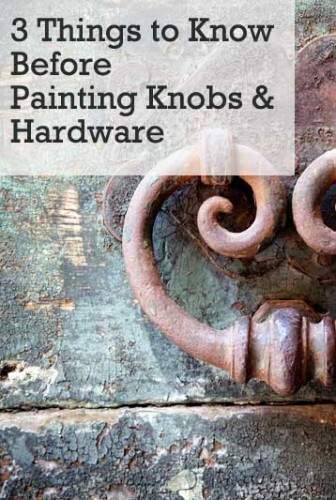 Painting knobs, pulls and other metal hardware is a great way to fix up fixtures without the added expense of replacing them. There are a few benefits to painting hardware over buying new. One, is that some older knobs and pulls have character & style that are near impossible to find with new hardware. Second, doorknobs, faucets and handles can be very pricey to replace. It’s worth painting them if you can do a quality job and get the look you’re want for less. 1. Clean the Hardware THOROUGHLY First – It is a little tougher to get primer and paint to stick to metal than it is to wood. So, it’s even more important to make sure the surface of the metal is very clean using TSP or Windex to remove any grease. This will ensure that the primer will adhere to the metal well. 2. Use a Metal Primer- There are spray primers made especially for metal. Make sure you use metal primer on your parts first, before you paint. I see some people spraying their hardware with spray paint, without any metal primer underneath. You can do it, but you may end up with peeling or chipping paint much sooner. 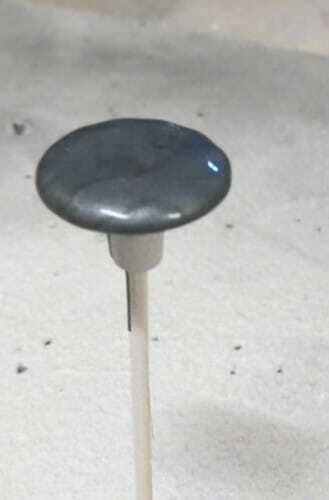 on how to spray knobs (and other hardware) without having to worry about how to lay them. 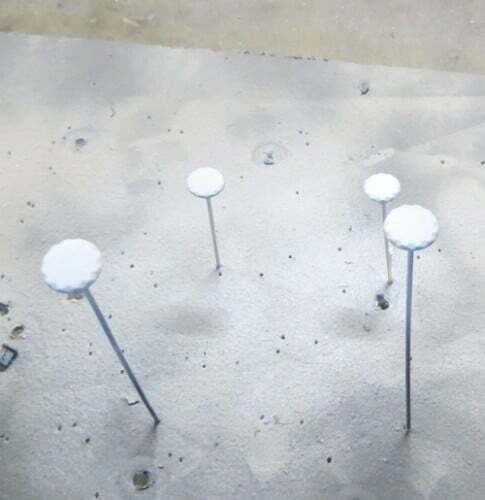 Bamboo skewers and a foam pad create a great structure for spraying hardware in the air.